Florida wrongful death Attorney Charles Spinner, Jr. has committed his legal career to helping families obtain the compensation available under the law for the tragic and wrongful deaths of their loved ones that took place in Pasco County, Tampa – Hillsborough County, or any other county in Florida. Our Wesley Chapel, Florida law firm will treat you the way we expect to be treated. We provide unmatched personalized service with effective representation and a commitment to achieving the best results for your Florida wrongful death case. Florida’s Wrongful Death Act allows spouses, children, parents, and relatives that may have been dependent on the deceased for support or services to name themselves as survivors of the decedent for financial recovery purposes. The amount of recovery that each family member is entitled to will depend on his or her relationship to the deceased and whether a spouse and any children are included among the survivors. Recovery may include compensation for loss of current and future financial support, retirement benefits, the costs of burial, cremation, or funeral expenses, pain and suffering, loss of companionship, and the decedent’s medical expenses. Wesley Chapel wrongful death Attorney Charles Spinner, Jr. and his legal team will conduct a thorough investigation of your case, gather the necessary evidence, and draw on our vast network of experts to protect your rights. We will fight for every element of a wrongful death compensation case that you and your deserve. You will only pay for our services if we recover for you. Spinner Law Firm represents wrongful death clients in cities throughout Florida, including Tampa, Sarasota and Wesley Chapel. At Spinner Law Firm, we fight hard for maximum recovery and we maintain a close relationship with our clients through all phases of the Florida wrongful death process. If a loved one has been killed in a fatal accident, Charles Spinner, Jr. and his experienced team can bring you through the Florida wrongful death process and help you recover the compensation you and your family are entitled to. 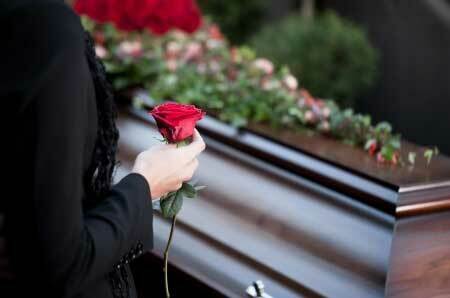 Call today (813) 991-5099 for a free, no obligation, in depth consultation to learn your Florida wrongful death rights. We are standing by to help.